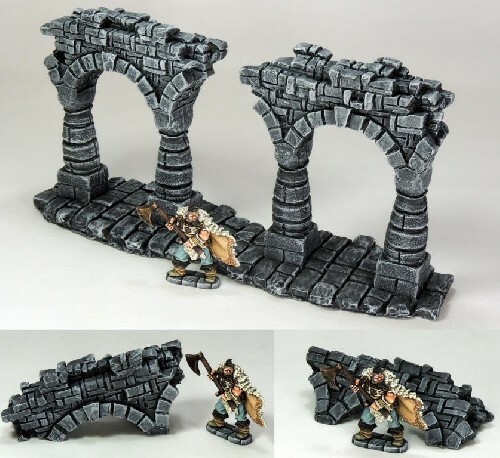 This comprises 2 x ruined arch castings and 2 x different ‘fallen arch section’ (1 x angled fallen arch + 1 x upright fallen arch) castings that add aesthetics and dimensions to any layout – highly detailed resin castings and all pre-painted in grey shades. Designed for 28mm sized figures. Miniatures not included.